From top left: a view of east Staunton Island, The unnamed second tallest building, Bedford Point, Belleville Park and Liberty Memorial Coliseum. 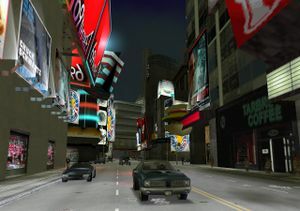 Staunton Island is the longest and most populous borough of Liberty City, with appearances in Grand Theft Auto III, Grand Theft Auto Advance and Grand Theft Auto: Liberty City Stories. 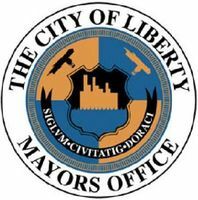 Is located between Portland and Shoreside Vale as the city's central borough, in where commerce is plentiful, composed mostly of business buildings and weapons can be acquired from two different stores: one selling regular weapons available to many, and the other selling militia-style or army-type weapons available to only soldiers. 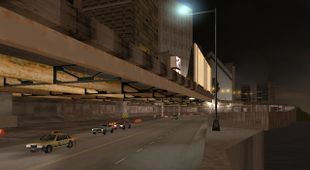 Staunton Island is depicted as Liberty City's "central business district", where inhabited the largest cluster of residential skyscrapers in the entire city, besides the commercials. There are also residential areas in the island such as Newport, Belleville Park and Fort Staunton in 1998. In 1998 is the home of at least two Mafia families: the Sindaccos and the Forellis, besides has its very own casino owned Yakuza. 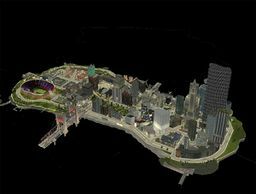 Staunton Island includes landmarks based on the real landmarks of New York City´s Manhattan, consisting of a high-rise downtown in the southern part, a high-rise Midtown in the Center and a much smaller skyline in the northern part or more of the Uptown. Fort Staunton - Little Italy in 1998. Panorama of Staunton Island, with most of skyscrapers. 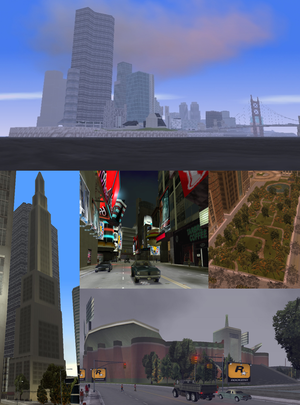 Staunton´s Island is the home of skycrapers and buildings on Liberty City, since it is the island which houses most of this architecture. Staunton Island does not have too many buildings as is its real life counterpart "Manhattan" or Algonquin, but the buildings are very good in impressive style, besides that many of them have some similarities with real life, both New York and elsewhere. Addition to buildings, Staunton Island also has other structures distributed throughout the city such as City Halls (for example: City Hall and Town Hall), departments (Newport Condo´s), casinos (Kenji's Casino), stadiums (Liberty Memorial Stadium), etc. Belleville Park: is considered the most important park in the city and the second largest park in the city. A waterfront park in Aspatria: is located in the northern end of the island, notable for being the longest park in the city. On Staunton Island, the Forelli Family are shown, in 1998, as holding the Fort Staunton, Newport and Belleville Park districts, whilst the Sindacco Family had control of the Torrington district. 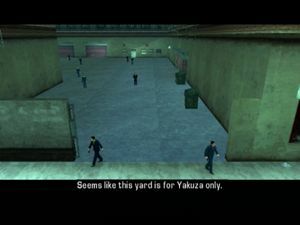 The Yakuza also have influence in the district, with the Big Shot Casino. Toni Cipriani then begins to attack the two Mafia families on Staunton Island, forcing the Sindacco Family out of Torrington, before forcing the Forelli Family out of Newport and Belleville Park. Toni's actions allow the Uptown Yardies to take Newport, although Toni later has to hold off an attack from the Sindacco Family. Later on, on orders from Donald Love, Toni destroys the Fort Staunton district, forcing the Forelli Family out of Staunton Island. Salvatore is later arrested and taken to the police station in Pike Creek on Shoreside Vale, and Toni follows him. This allows the Uptown Yardies to maintain their stronghold in Newport, and allows the Yakuza to take over Torrington and Aspatria. By 2001, the Colombian Cartel take over the Fort Staunton district, which is being redeveloped by the Cartel front Panlantic Construction Company. All events that have occurred in Staunton Island, considered the most dangerous island of the city along with Portland and Shoreside Vale that is the quietest. The New York City Hall makes an appearance as the Town Hall. Located of southern in Belleville Park. The Trump Tower makes an appearance as the Morningstar Building. The 500 Fifth Avenue makes an appearance as the "366" building. The Flatiron Building appears as three replicas in Belleville Park and Newport, of which the best known is Rise FM Headquarters, owned radio station Rise FM. The Columbia University makes an appearance known as the St. Matthias University. The Riverside Park makes an appearance as the waterfront park of Aspatria. The St. Patrick's Cathedral makes an appearance as the Liberty City Cathedral. Probably the only cathedral in which it is based, although smaller and features a little different. The Franklin D. Roosevelt East River Drive makes appearance as the expressway connecting Aspatria with Bedford Point but has a slightly different model of its counterpart. The towers of Marina City in Chicago, makes an appearance as the Lips 106 Headquarters in Belleville Park. The Los Angeles Memorial Coliseum in Los Angeles, makes an appearance as the Liberty Memorial Coliseum. Although the Liberty Memorial Coliseum has similarities to Yankee Stadium and Giants Stadium, it seems much more to Los Angeles, both the name and form and inaugurated the year. Didier Sachs: is based upon the real-life Dolce & Gabbana. Kevin Clone: is a parody of Calvin Klein. Liberty Tree: based on the real life of The New York Times, the headquarters is located on Bedford Point. Sumo: is an electronics company relied heavily of Sony. TUBE: is a parody of the Subway restaurant. Zip: is based on the Gap clothing store. Apart from these businesses, there are many more on the island. 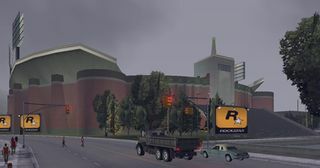 Loading screen of Staunton Island in GTA Liberty City Stories. This page was last modified on 6 April 2017, at 18:51.